At Highway 60 Tire & Service, we provide commercial tires to customers in Ponca City, OK, Blackwell, OK, Tonkawa, OK, and the surrounding areas. Use our commercial tire guide below to learn more about drive, steer, trailer and all position tires. Compare the functions and features to choose the right tire for your needs. Browse our tire catalog full of the best brands in the industry and save. Your commercial tires see miles and miles of roadways. They need to be durable, safe, and provide a comfortable ride all at a value. At Highway 60 Tire & Service, we provide customers in Ponca City, OK, Blackwell, OK, Tonkawa, OK, and surrounding areas with the best commercial tires available. 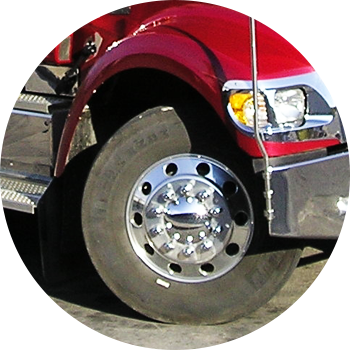 Our tough tires will toughen up your fleet. When you’re ready for the best commercial tires available, stop by Highway 60 Tire & Service today.